I've just been getting into the music of Hawksley Workman, and although I've got a long way to go I thought I'd just do a little Like Minded People introduction for those that aren't yet aware. Up until this year Hawksley has been a huge star in his native Canada, but sources tell me that the next step is to try and break into the UK market. And why not I say. "We Still Need A Song"
To my ears, the guy has a great voice with touches of Bono in there, but definitely with a unique stamp. From what I've heard so far, the songwriting talent is fantastic, and definitely makes me want to hear more. I managed to miss his live dates in the UK a few months ago, but from what I hear he's a born entertainer. 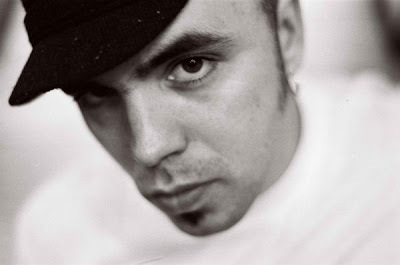 Also loving the video for his song "Jealous Of Your Cigarette"
Buy Hawksley Workman tracks from iTunes here. Email me at lmpneil@googlemail.com if you like. It's always nice to hear from people. If you're a band/artist/DJ that would like me to check out their music with a view to including it on my blog, just get in touch. I usually try to post youtube videos rather than direct links to download MP3's. However, when necessary I'll post up snippets of tracks for people to download. If you would like an MP3 removed from this blog, please contact me and I'll take it down.